U mna to ide tak, ze stlacis tie poistky ktore su na tom kruzku ako to ide do sedacky a vytiahnes ich komplet von. Tak by to mali ist aj na prednych aj na zadnych. také niečo tam mam, ako s tým dole? Zrejme to pojde von aj s tymi tyckami. Taking the seat apart is too much work if all you want is the headrest off. 5. 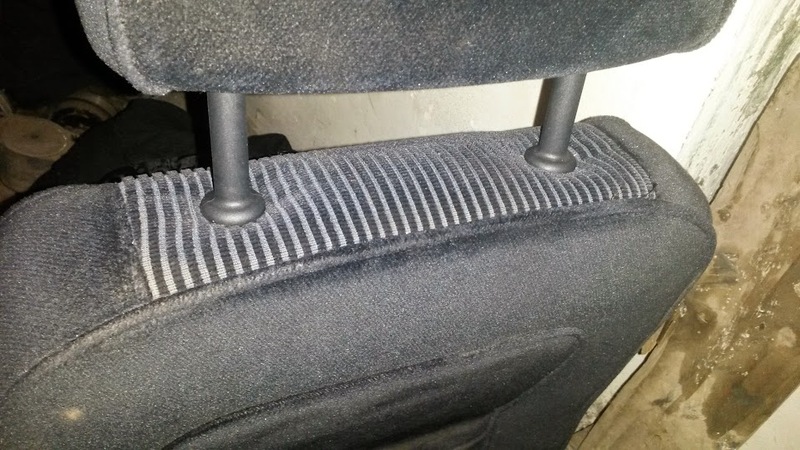 If it pulls the rails out of the seat just use your mole grip to wiggle the rail out of the headrest and slot back into the seat, facing the right way. If they stay in the seat turn them back the right way. 6. Then you can just slot the headrest back on after you have done your thing. Ďakujem veľmi pekne. Len si to musím dať preložiť A bude to OK.
neviem čo tm píšu,, takže neviem či to treba rozobrať a tak, alebo sa to dá vybrať?